Give your game a boost of confidence with Approach G5, a rugged, waterproof, touchscreen golf GPS packed with thousands of preloaded golf course maps. Approach uses a high-sensitivity GPS receiver to measure individual shot distances and show the exact yardage to fairways, hazards and greens. Approach displays and updates your exact position on stunningly detailed, preloaded course maps throughout the United States and Canada. 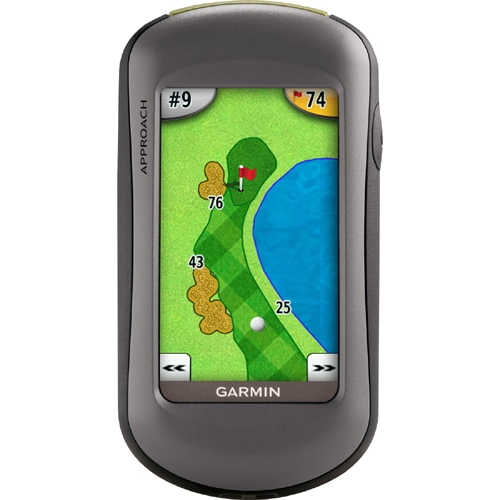 Approach's highly sensitive GPS receiver pinpoints your position and removes guesswork from your game. And as you move, Approach automatically updates your position, so you'll always know your yardage. There are no subscriptions or setup fees, and Approach is compliant with USGA and R&A rules.